Keep your phone running for longer. Ensure your smartphone stays fully charged at all times using this powerful yet compact powerbank. 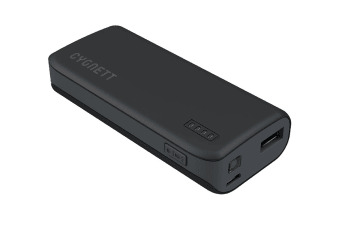 You’ll have no issues charging your phone and all your digital devices thanks to the Cygnett ChargeUp Sport Powerbank. Compact and lightweight, the ChargeUp features a 4400mAh capacity suitable to fully charge your smartphone 2-3 times. Keep this power bank in your bag or pocket, and you’ll never run out of power!